Sun May 16, 2010	2010	Balboa Island Art Walk—A Mile of Art!!! ISLAND FLOORING IS NOT GOING OUT OF BUSINESS!!! In spite of all the rumors to the contrary Island Flooring will be in business—even if we move to a new location. We have been at other locations before coming to Balboa Island and we will find another location if it becomes necessary. Forty years of Mike’s expertise is not going anywhere. In addition, as my lawyer recently told me—they would not hire us to flip burgers at McDonald’s at our age and with our work experience. Life-time entrepreneurs do not good corporate employees make!!! So rest assured we will be selling and installing your floors for many years to come!!! Thanks to all of you who have stopped by and expressed their desire to have us stay here on the Island. We so appreciate all the prayers we are getting from our wonderful neighbors. And it seems to be working! I have rented out one of our two offices at 118 Agate and donated a car I loved—but was 16 years old. My youngest grandson, Hunter, was amazed this past summer when he drove to Palm Springs in a car that was as old as he was! residential parking space. As a result it is more open and easier for everyone to see all the samples. Mike doesn’t have to run from room to room to show wood from various manufacturers. It is all there at his fingertips!! We also have the cork, seagrass, commercial carpet, Marmoleum, vinyl plank, vinyl and commercial carpet in the rear of the building which is carpeted and well lit. And roomy!!! I kept the bulk of the carpet samples inside along with the Island Style Flags, Doormats, Bracelets, Car Flags, Coffee Mugs, Tumblers, Luggage Tags, etc. etc. College, NFL, MLB, NBA and some NHL. As more people find my little sports memorabilia store I am adding more fun items. I have been told some are not even seen in stadium souvenir shops. In this downturn people still root for their favorite sports teams. Don’t forget to follow me at http://carolyncarrbalboa-island.blogspot.com/ I have always had a lot of information in between newsletters and now I have a place to post it daily!! And it is fun. PUT YOUR AD HERE FOR $50.00 per Issue per area—Great for Housecleaning, Handyman, Rentals, Etc. For more information, please go to our website http://www.nhrw.org. Rain, rain, go away!! Balboa Island isn’t the only place getting soaked these days - just returned from what should have been a ‘fun-in-the-sun’ getaway to Tucson - ONLY to be under water every day of the visit! Not to worry - we were staying at the lavish yet rustic, Loew’s Ventana Canyon nestled way back in the mountains above the city. Took the train up one- way and got a private room with dinner included— tablecloth and all! . I recommend this to locals who would enjoy a romantic and imaginative weekend getaway. You’ll return completely re-newed! Bumped into Laura Gale recently, and she exclaimed how much she is enjoying her new job at HOM Realty Group - 332 Marine Ave. Owner Jake Klohs merged w/ the popular company for what he describes, as a “perfect fit”. Both want Islanders to know that their office handles all your property, vacation and rental needs. Phone 949.723.1363. Did you notice the bright yellow paint transforming the Wilson’s Beach Cottage? The NEW occupants will be sister Co. to Fresh Produce, and aptly named “Sunny Days”. I spoke w/ ‘Jocelyn’ over at FP and she advised me that the new shop will showcase fun novelty accessories (plus more great women’s clothing!) Sounds like fun! Doors open April 1st. Amelia Seton, of Amelia’s Restaurant left Balboa Island for the last time on January 9, 2010. I met Amelia when I first came to Balboa Island 20 years ago and I missed seeing her smiling face on the boardwalk during her illness these past few years. There was a memorial service for Amelia at St. Andrews Presbyterian Church followed by a “party” for her family and friends at Harborside Restaurant. The event was a tribute to her greatest attribute—being a gracious hostess and her love of feeding and entertaining people. The food was wonderful and the centerpieces allowed us all to take a small reminder of Amelia home with us. They were edible—made of oranges, peppers, several types of greens, tangerines and grapes. As I ate the fruit and vegetables over the next week I thought about Amelia and what a wonderful, thoughtful person she was!! Randy Seton, Amelia’s son, helps me with my “Trivia Contest”. Hetty, Amelia’s daughter, and her son-in-law John Robinson are still doing a great job feeding the locals and tourists on Marine Avenue. Stop in, say hi and have a meal and think of all the love Amelia put into creating this Balboa Island favorite. Spring is almost here and Mike McClure and Damon Burris at Island Lights are ready to help you with your outside lighting, whether for year round, seasonal, the dock, landscaping or for that special event. They have been helping Island locals for the last 10 years during the holiday season and are ready to expand their horizons. If you have been thinking about adding outside lighting in your yard, patio or on the dock, they are here and ready to help you with ideas that will make your house a summer wonderland. For weddings, birthdays or company parties having the right lighting completes the ambiance that you are visualizing. Please give Damon Or Mike a call and they will be more than happy to help you! 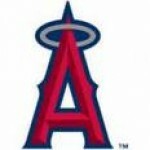 Call Damon 949.307.8613 or Mike 949-903-9018. Reservations are not necessary in the lounge, but are suggested in the dining room. Two months ago, during some VERY windy weather, I was planning on going to the bank with some deposits and had put my checkbook and signed checks in my back pocket while finishing errands around the house. I live on South Bayfront, so this included moving the garbage cans in the back alley. I finally got ready to leave for the bank and my checkbook and signed deposits were gone. I looked everywhere unsuccessfully and had to start organizing to call companies to get checks cancelled and new ones issued. http://www.211.org—A nonprofit 501(c)(3) organization, provides a comprehensive information and referral system that links Orange County residents to community health and human services and support. You can dial 211 on your telephone to find shelters, help with utilities, Medical Resources, etc. I found out when someone asked me for help to find a homeless person shelter. More about this fabulous service next issue .Who knew??? Win a Balboa Bar from Dad’s Donuts!!! 1. 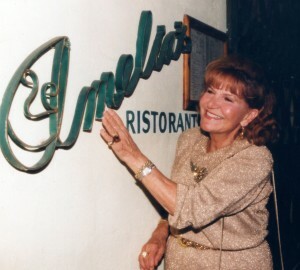 What was the previous name of Amelia’s restaurant in 1961?? ?